STOCKMAN GRASSFARMER is the official website of The Stockman GrassFarmer, Allan Nation's monthly periodical about the science and art of raising ruminants on pasture. This magazine is the "glue" that keeps the far-flung grassfarming community together. 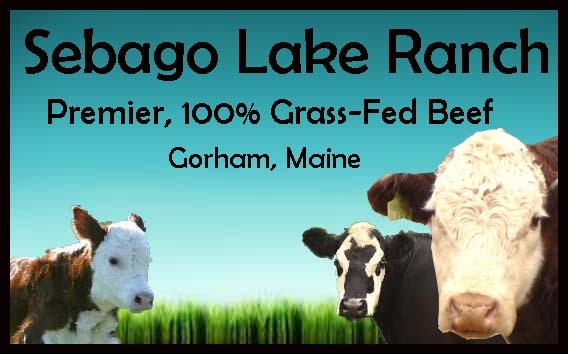 Here at Sebago Lake Ranch, we don't miss an issue. The MEATRIX is a wonderful, animated cartoon about the differences between pig farms and hog factories. If you haven't seen this yet, you're missing out. Interactive Meat Case~ Today’s meat case is brimming with exciting new choices and traditional favorites. Use our Interactive Meat Case to learn more about the variety of nutritious and satisfying beef cuts available, plus find cut descriptions, recipes, cooking tips and more. Eat Wild~ Support the farmers who raise their livestock on pasture from birth to market and who actively promote the welfare of their animals and the health of the land.